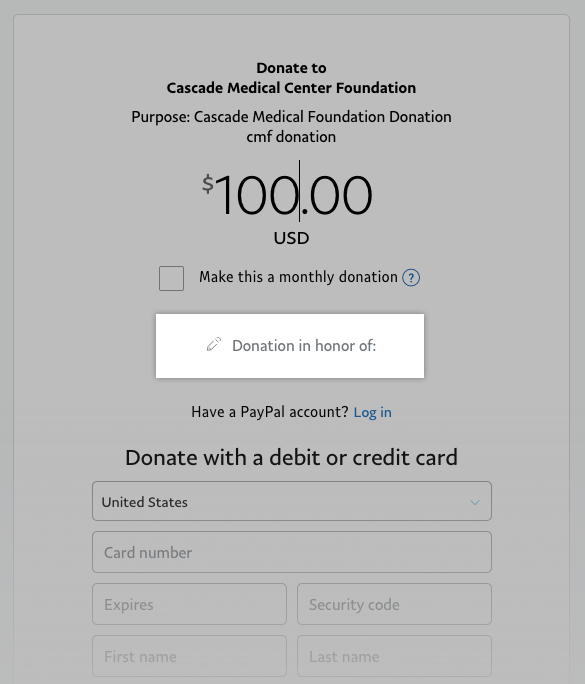 The Cascade Medical Foundation is a 501(c)3 nonprofit organization. It is made up of dedicated volunteers and has a long standing history of providing valuable health care resources that would not otherwise be provided to the community. Make sure to fill in the "Donation in honor of" box if you would like to make a contribution in honor of someone.